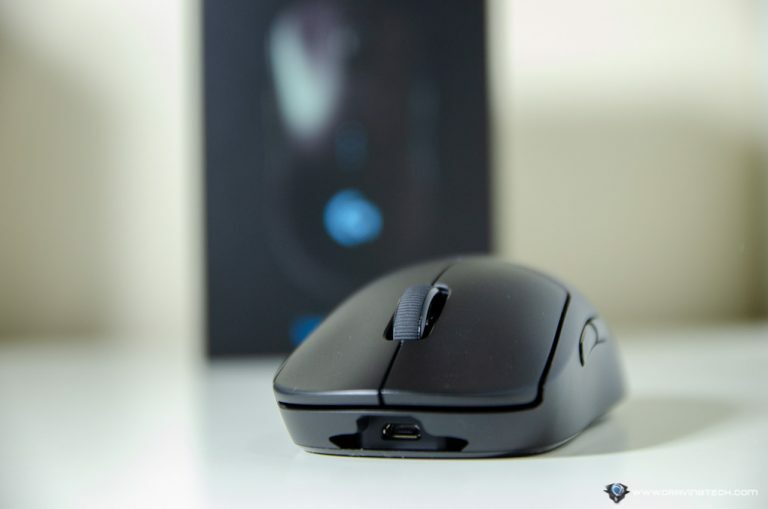 Logitech G Pro Wireless Gaming Mouse Review – The Logitech G Pro product line is designed specifically by and for the eSports professionals. Or at least if you are not one, it’s definitely for gamers who play competitive games and want to focus on winning (but who doesn’t, right?). 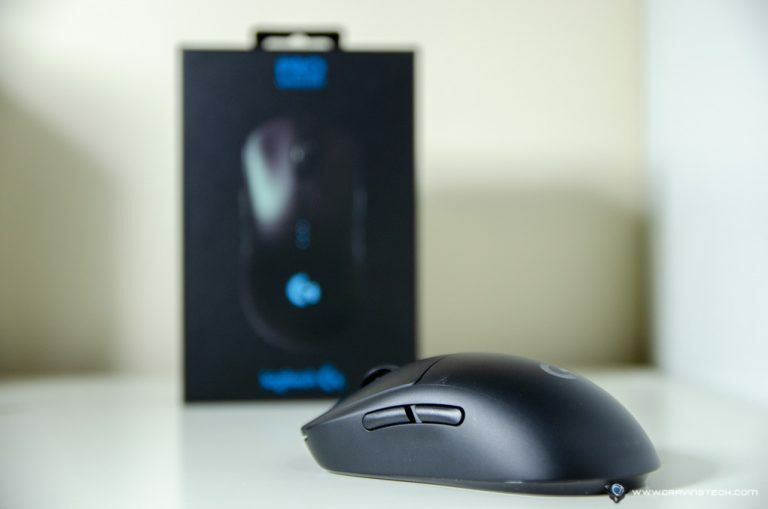 The Logitech G Pro Wireless gaming mouse here, does just that. It’s designed by Logitech G in collaboration to more than 50 professional players to get the perfect feel, performance, and weight. And I wasn’t disappointed with the results. It’s an ambidextrous mouse, so the packaging includes options for the side buttons – whether you want them on one side, or both sides. 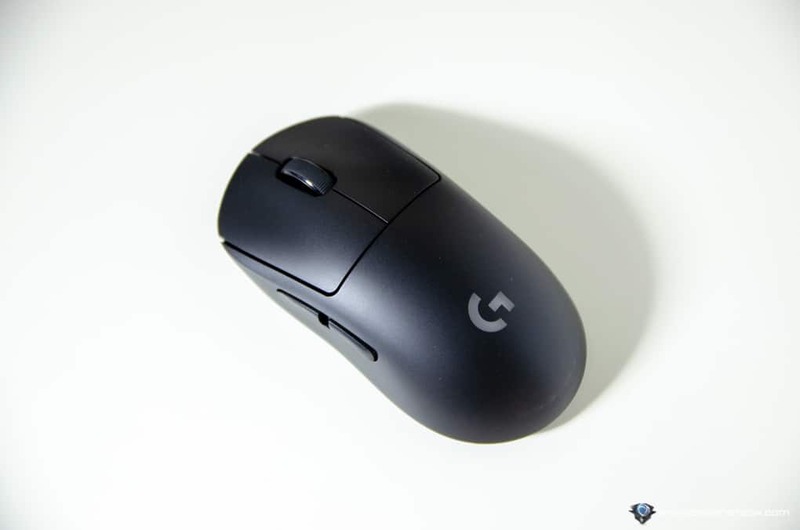 Logitech G Pro Gaming Mouse design is very minimalist and clean. It’s one unibody mouse without interchangeable parts (except for the side buttons that can be changed) and just fits my hand like a glove. SteelSeries Rival 600, for example, is a great gaming mouse too but it has many parts on the body and can feel a bit awkward on the palm. 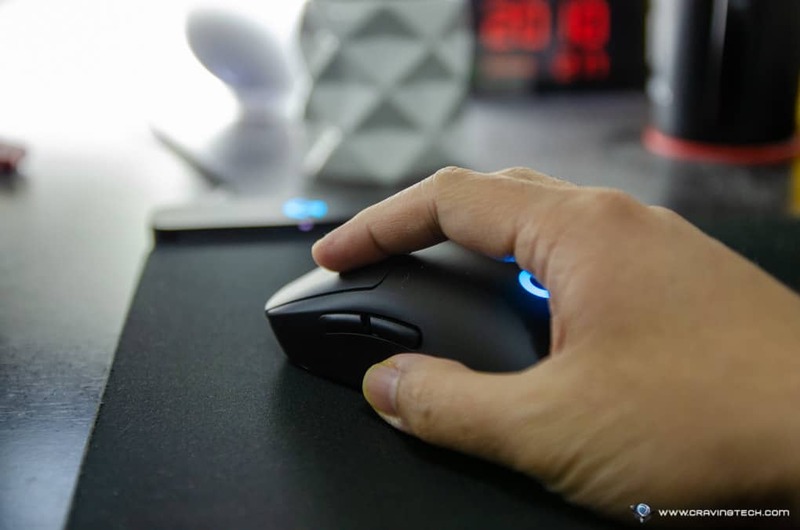 While the sides don’t have any rubber grips, I find that the mouse never feels slippery and thanks to how lightweight it is, I can glide the mouse with ease. It’s apparently as light as 80 grams, which takes a “below 100 grams mouse” motto to the next level. Combined with a thin outer shell (as thin as 1 mm), Logitech G Pro Wireless is very light mouse. Low DPI players who have to do multiple swipes with the mouse will be the happiest here, as there practically is no effort to lift the mouse up and down multiple times for many long hours. I assume this is why it’s loved by the eSport players who helped designing the mouse. Also note that we are talking about a wireless gaming mouse with batteries here, and most of them generally are heavier than 100 grams (Razer Mamba Hyperflux might be an exception but in all fairness, it does not have a battery inside). Logitech G Pro wireless is charged via the included microUSB and can last to a long 48-60 hours! 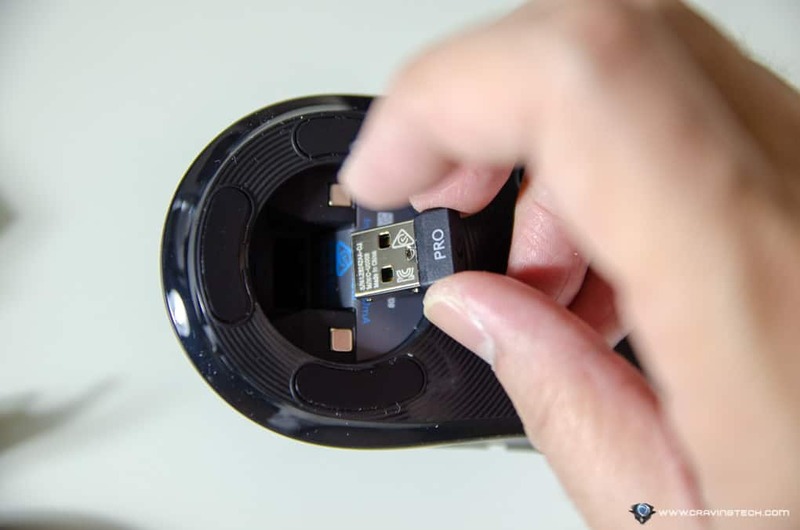 The USB receiver can also be stored inside the mouse. 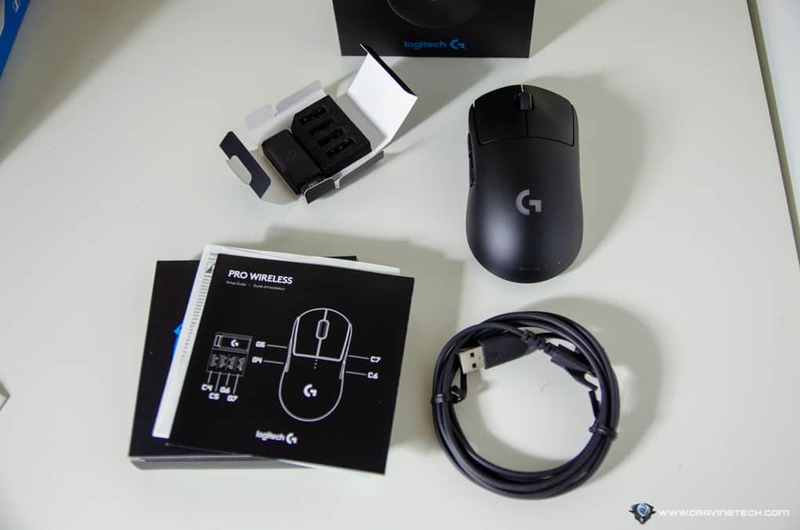 And if you have the Logitech G POWERPLAY mouse mat (check out my review on the POWERPLAY), you can forget about having to recharge with a cable or even plugging the USB receiver. 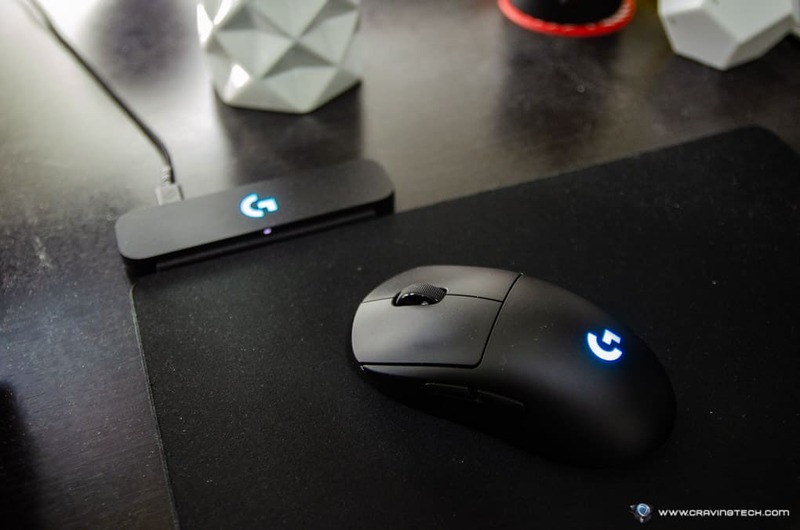 I’ve been testing the Logitech G Pro Wireless on the POWERPLAY mouse mat and loving how seamless it works. Logitech G Pro Wireless is probably the lightest gaming mouse I’ve ever tried and I’m liking it. If you want mouse with a bit of weight, this is definitely not your mouse. 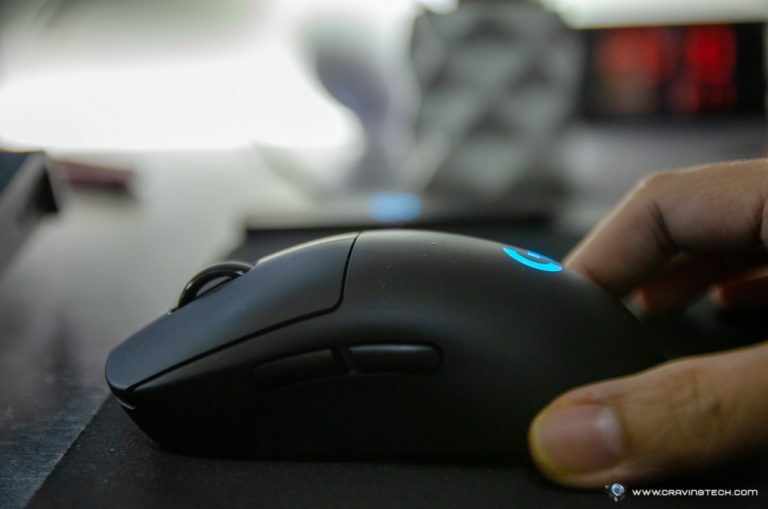 And I might be wrong, but it looks like the mouse is perfect for those on claw and fingertip grips like myself. 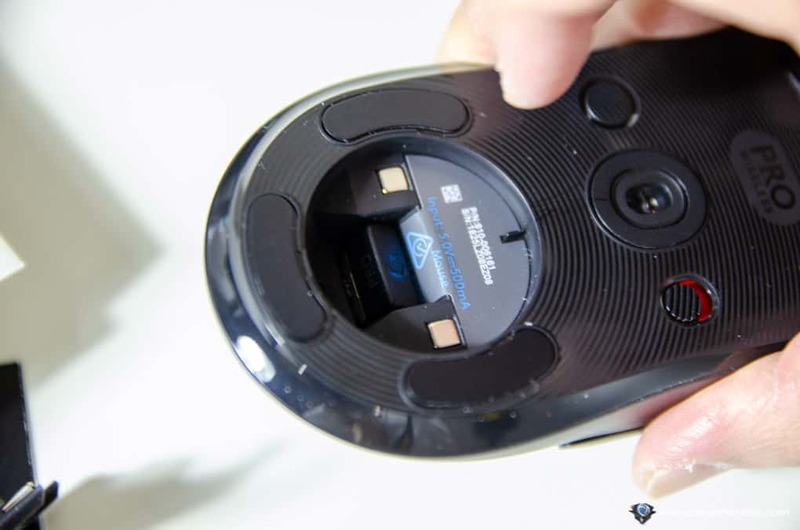 The mouse buttons give a satisfying click sound & feedback, hollow but crunchy. 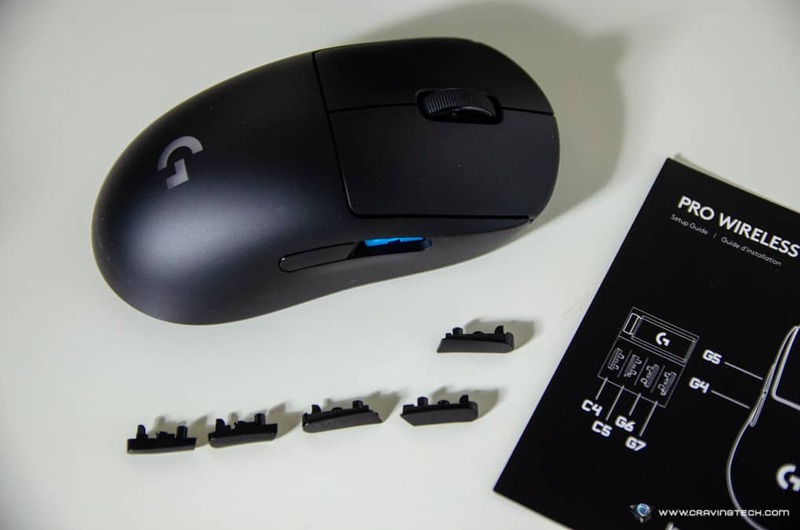 According to Logitech, it uses “a metal spring to tension separated left and right button keyplates” which makes every click feels consistent especially if you have to tap in successively such as firing your handgun at CS:GO. 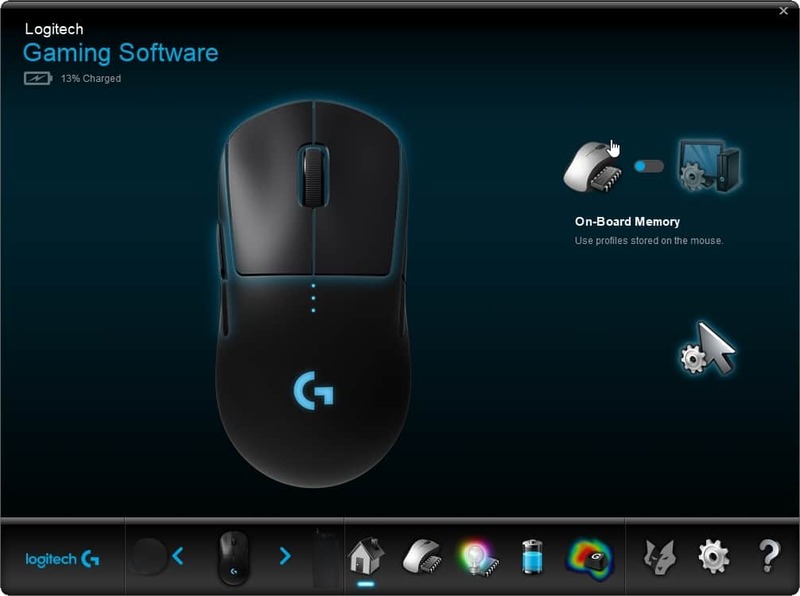 It also supports Logitech G LIGHTSYNC RGB and you can store your profiles inside the mouse’s onboard memory. The DPI switch button is unfortunately located below the mouse. While I understand that an eSport player do not need to switch DPI that often, I would. Usually I use 800 DPI on my desktop and a higher DPI in game. And while in game, I tend to switch between the two when I have to select an option from the menu, or pick a Hero in Overwatch. Without an easily-accessible DPI switcher, I have to resort mapping it onto one of my side buttons. A tiny button below the scroll wheel would be better in my opinion. 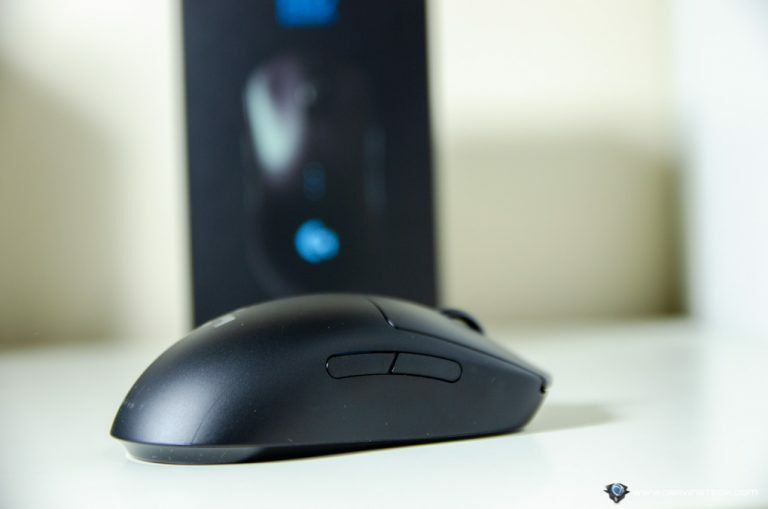 I tested the Logitech G Pro Gaming Mouse mostly in Overwatch, as it is fast-paced, competitive, and some heroes require precision aiming – which is a good field test for the mouse sensor. According to Logitech, the HERO16K is their most accurate gaming sensor with over 400 IPS, but with 10x less power consumption compared to the previous PMW3366 on the wired G Pro (so it sounds like a modified version of PMW3366 sensor). But those are the technical stuffs. In reality, the sensor does deliver its accuracy and even in the middle of a frantic battle, I could do a few flick shots while moving from one target to the next which requires fast, but precise aim. So both tracking and flicking shots get a green tick from me while using the Logitech G Pro Wireless. 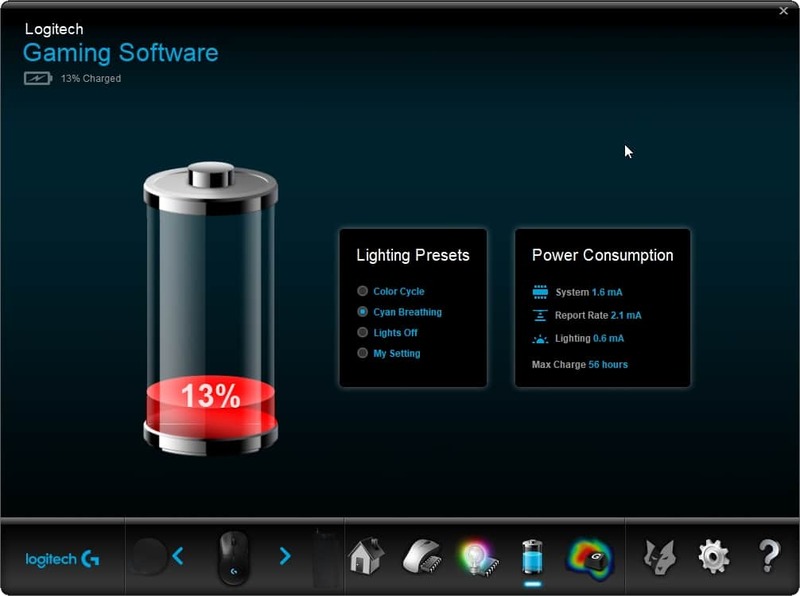 And if you don’t have the POWERPLAY solution, it’s good knowing that the mouse will last days on a single recharge. With the collaboration of many eSport professionals, Logitech G Pro Wireless focuses on the most important factors and it delivers. It’s comfortable and light to hold, long-lasting and offers satisfying clicks, fast 1ms wireless speed (no annoying cables), long-life battery, and the most accurate sensor Logitech has to deliver. 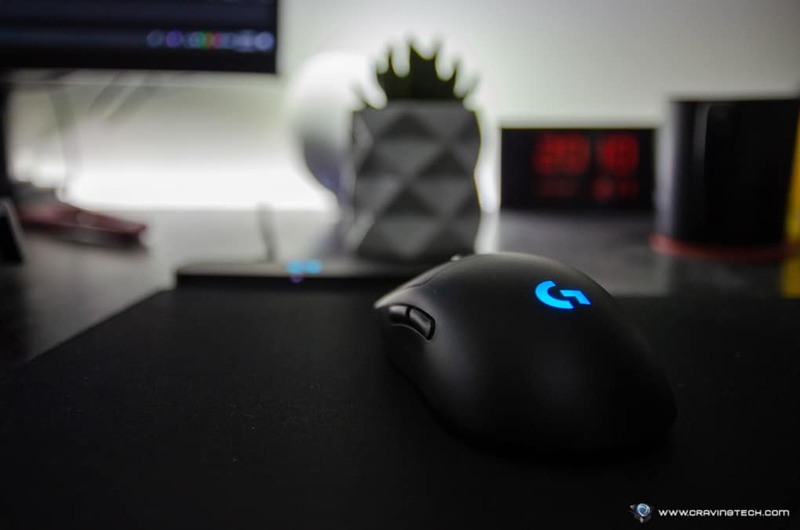 Playing with the Logitech G Pro Wireless is never tiring thanks to the weight, and combined with the POWERPLAY charging system means you’ll never ever need to plug the charging cable, ever. It’s probably not a mouse for those with big hands and using a palm grip or if you want more weight on the mouse, but you should check out others’ reviews just to make sure. 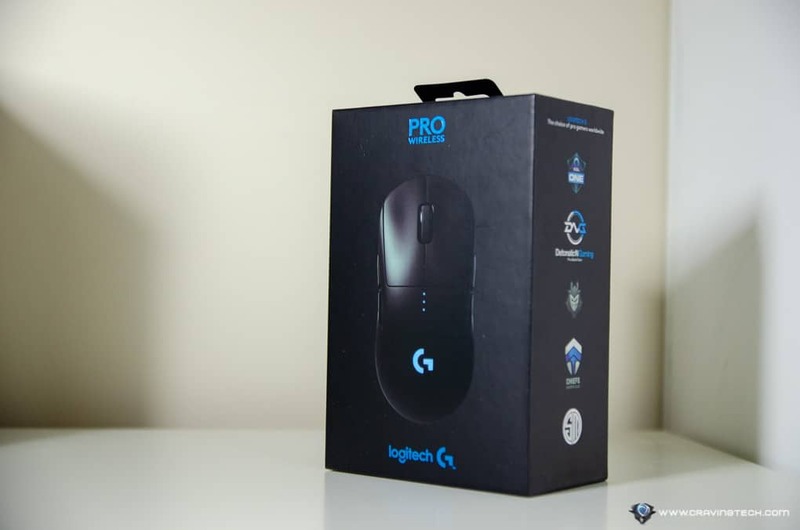 Logitech G Pro Wireless Gaming Mouse is sold at around AU$249 and available at major retailers around Australia.